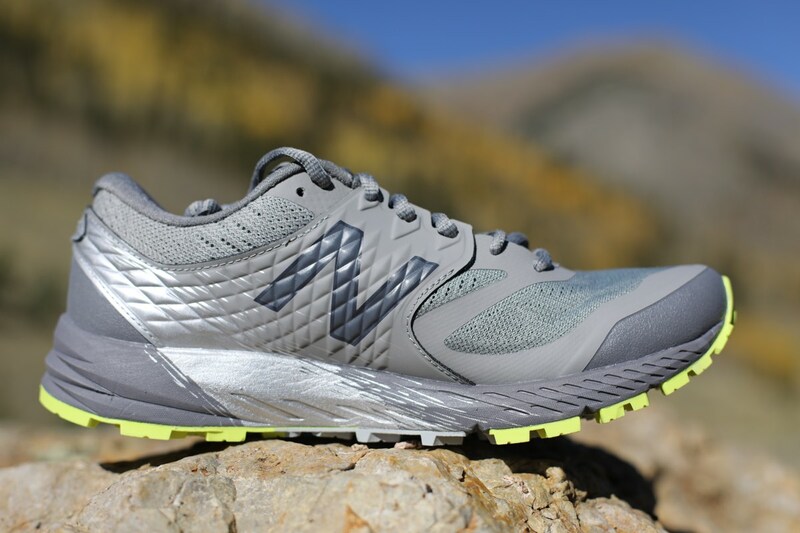 New Balance released a new all-purpose trail shoe last July, and it’s been on heavy rotation in my trail-shoe collection since I received it in the late fall. I’ve enjoyed the New Balance Summit Q.O.M. (there’s also a men’s K.O.M.) ($119.99) as my all-around shoe here in the Front Range of Colorado and in the desert-mountain parks outside Phoenix, Arizona. It’s been a comfortable option on jeep roads, crushed gravel, off-camber red rock, and mountain singletrack. It’s not an aggressive mud/snow shoe, and it’s not a racing flat, but it’s like a jump shot around the perimeter—easy to put up (on), typically on target (the right choice for the usual conditions), and you can count on them to do the job (score the miles). The New Balance Summit Q.O.M. and K.O.M. make me think of a trimmed-down version of the discontinued Leadville shoe or even the 910 v4. True to New Balance’s history, the shoe is available in B and D widths in women’s (and D, 2E, and 4E for men’s), which should allow those with a wider foot a solid opportunity for a proper fit. At 9.2 ounces for the U.S. women’s size 8 (10.9 ounces in U.S. men’s size 9), the Summit Q.O.M./K.O.M. is sturdy enough to hold up over tough miles and distances while not being so heavy as to weigh a runner down. The 8mm drop and a stack height of 16mm forefoot/24mm heel are gentle on the Achilles tendons and low enough to the ground that you can respond easily to the variations underfoot without being surprised or beat up by them. For me, it’s enough ground feel to avoid awkward ankle turns and twists at any pace but there’s plenty of cushioning and protection so my foot bones are happy even 20 rocky miles later. There is also a GTX model available at $134.99. The midsole of the Summit Q.O.M./K.O.M. is constructed from New Balance’s innovative foam compound called REVLite. The cushioning is lighter weight than standard EVA yet provides a significant amount of responsive cushioning while remaining on the firmer end of the spectrum. I absolutely love the ride on anything from dirt and jeep roads to singletrack with solid elevation change. 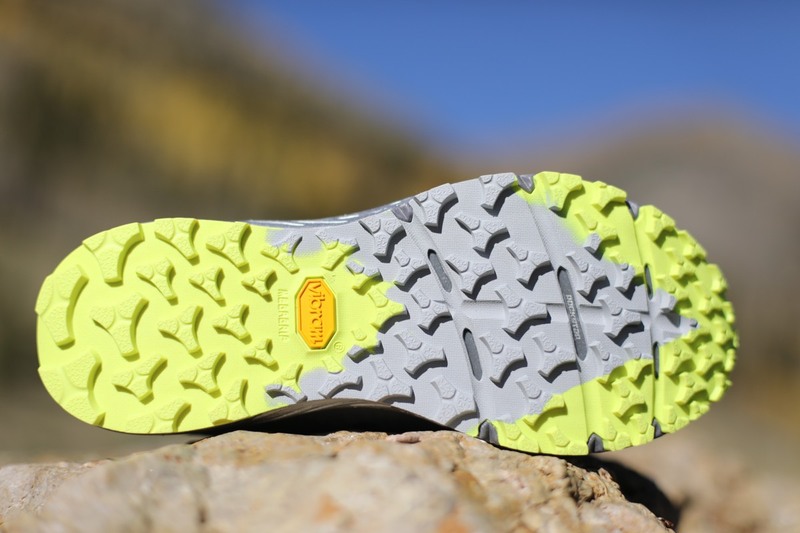 With the ROCKSTOP layer beneath the midsole (a semi-flexible rock plate), I also felt well protected when running on rock slabs in slickrock-style running and on the pointy-rock desert trails. The New Balance Summit Q.O.M./K.O.M. 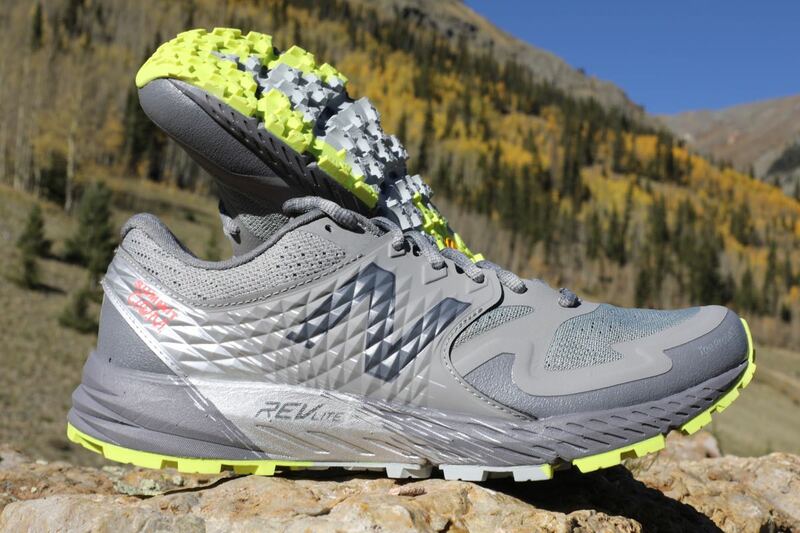 is a burly, everyday trail and mountain-running shoe with excellent grip and traction for most conditions. It is relatively lightweight for the protection and durability offered and is designed to be a contender for a ‘quiver of one.’ For the most part, it fits the bill… but I’d love to get more than 250 miles out of it from the midsole flex-point perspective. As I mentioned earlier, making the toebox more foot shaped will allow a larger range of runners to be happy in the shoe especially since it is offered in B and D widths. 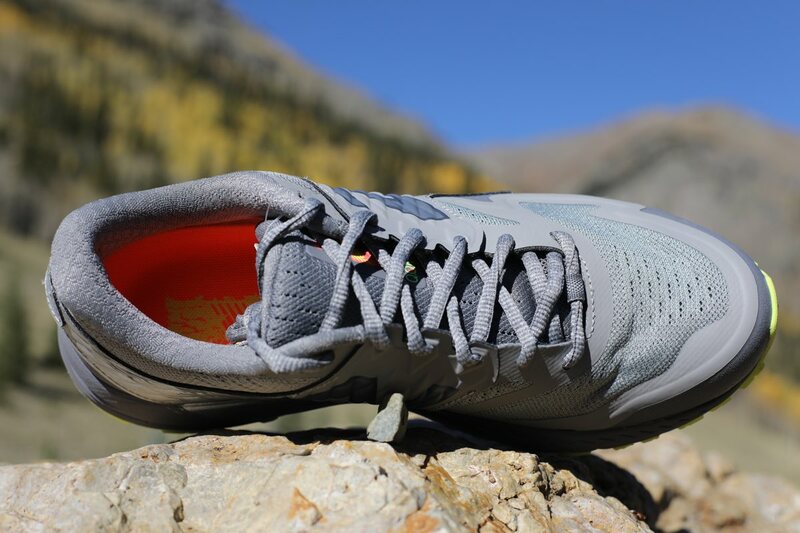 Though there’s not as much ‘stability’ built into the single-density midsole, I think those who miss the New Balance Leadville shoe can still find their support needs met thanks to the well-engineered overlays. Overall, it’s a great option for those looking for a workhorse shoe. Great review, Kristin. I’m nearing the 250 miles point with my KOMs and so far they’re pretty good. I was an avid Leadville wearer before so I’m with you on the comparably narrower toe box. So far the only other draw back is that I seem to get a lot of pine needles and pebbles finding their way inside these shoes, enough causing me to stop and take them off sometimes. I don’t remember the Leadville letting debris in. Have you experienced anything like this? The rest of the shoe is great and treated me well on 50K and a some rugged 20 milers so far. Justin, thanks for writing—I usually wear a pair of Dirty Girl gaiters when I’m going to be out for awhile (more than 90 min) or when I know it’s a rubbly trail… so that keeps things fairly clean inside for me. Do you think it’s working it’s way in through the mesh as well as over the top? I’ve never run with gaiters, but now might be a good time to find a pair and give them a try. I have a feeling things are working their way in through the mesh as well as over the top. I’m curious to see if it gets much worse as the uppers wear with 350 or so miles. I have 2 of these KOM and previously had 2 of Leadville v3. 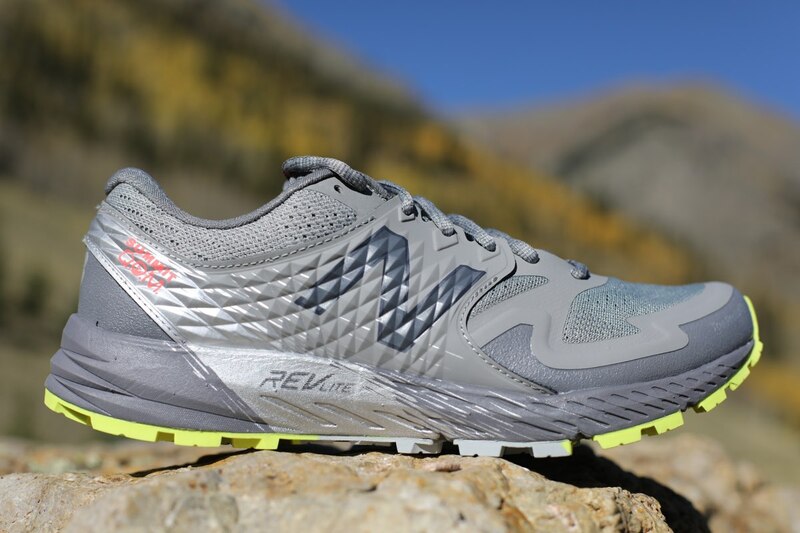 – They are not as roomy as Leadville v3 in the forefoot and midfoot (width D in both). – KOM in width D started giving me mid foot medial underside pain. I got width 2E KOM and now they are perfectly good for my feet (I have wide flatish feet). – The width D KOM I am still using for training but I had to take the insole out to create more room. 1- The lace has an outer skin and some sort of cotton looking white material inside. The outer skin has some bite/grip to it and the lace as a result does not come undone but the outer skin kind of opens up and the white stuffing starts poking out. The lace is strong and it won’t break but it puts doubt in your mind. So each of my lace has 3-4 areas where it has 1-2 cm opening where the white stuffing in popping out. This happened with first 50kms!!!!! 2- The ankle collar padded fabric where it meets the front part of the shoe starts opening up on both sides within first 50km!!!! While typing this I just thought that the outer material of the lace might be rubbing and wearing the ankle collar fabric.Either way points to lack of quality control and proper testing. Maybe I should replace the lace already on the new pair to avoid this. Both the above 2 cons are cosmetic in nature and should not hopefully screw up long term usability. Both my Leadville v3 had zero wear or breakage after 700kms!!! Get it right NB!!! 1- The Vibram Megagrip on KOM is OUTSTANDING!!!!!!!!!!!!! KOM- 9.5/10 (love love the sole on so many different surfaces) ROCK SOLID! 2- The shoe feels really STABLE!!!!! More than Leadville v3 or any shoe that I have ever worn. It feels as if you won’t twist your ankle. Nice locked down feel for me. I will most likely stock up on this shoe (width 2E), for me to find a right shoe is always a nightmare. I love this shoe but NB seems to always screw up any shoe I want to stick with. If NB could give more volume to the forefoot and midfoot and sort out the material choice of the lace and collar fabric then this KOM would be 10 out of 10 for me. Currently it is 8/10 for me. NB please stick with Megagrip (unless some better compound comes around). Thanks for the correction. The Q.O.M. is available in B and D.
Ok I took a closer look and I don’t think the front of ankle area breaking up has anything to do with the lace as I don’t think it rubs in that area (I could be wrong). Either way bad material choice by NB. Either use same material as Leadville v.3 or bettet!!! Link to photos, this was after 50km only. No material from my outfit reaches or rubs that area! Anyone know how these compare to the old NB Vazee Summit? I loved those shoes (now discontinued) and would be thrilled if they were offering something similar.